The Hollister CenterPointLock SoftFlex Standard WearSkin Barrier assures a secure attachment of the pouch to the skin barrier to prevent accidental separation. Ref # 3704 - 2 3/4" (70 mm) flange. Box of 5. The Hollister CenterPointLock SoftFlex Standard WearSkin Barrier assures a secure attachment of the pouch to the skin barrier to prevent accidental separation. Features SoftFlex for ultra comfort gentleness. 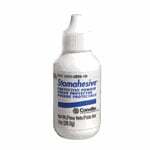 Eliminates pressure on tender post operative abdomens. Prevents accidental separation of pouch from skin barrier. SoftFlex Skin Barrier - SoftFlex is a thin and highly flexible hydrocolloid skin barrier that provides gentle adherence to skin. It is designed for more frequently removed pouches like closed one-piece pouches or when the skin is very fragile. SoftFlex is mildly resistant to breakdown and is best used for low water content discharge. Floating Flange - Allows for fingers to be put under the flange for support while attaching the pouch to the barrier. With Tape Border - Tape borders provide additional security to the attachment of the one-piece pouch or two-piece skin barrier to the skin. 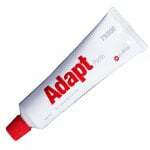 Recommended for Home Use - Product has features that would be most appropriate for home care. Cut-to-Fit - Allows the user to cut the skin barrier opening to the size and shape of the stoma. CenterPointLock - The patented CenterPointLock is an exclusive Hollister feature that assures a secure attachment of the pouch to the skin barrier. It prevents unintentional separation of the pouch from the skin barrier. 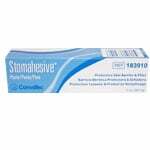 Recommended for Post Operative Use - Product has features that would be most appropriate for post-operative care. Bathing/Swimming Allowable - Product can be worn while bathing or swimming without affecting its performance.